No one wants to see the above picture in their rearview mirror or have the police knocking at their door with an arrest warrant! If you have been arrested or are facing criminal charges, even traffic tickets, you need aggressive representation. Jack worked two summers in the Allegheny County District Attorney's Office and has since represented criminal defendants in southwest Pennsylvania. Jack has extensive experience working as a Conflicts' Counsel attorney for Washington County, PA and is past President of the Criminal Law Section of the Washington County Bar Association. Jack is ready to tackle your tough criminal charges head on! Don't delay-call for a consultation! 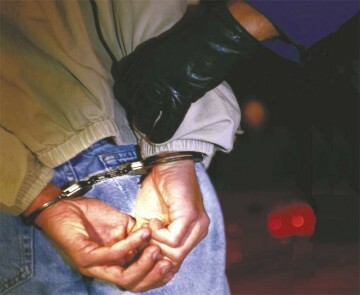 If you have been arrested, you have certain, valuable rights that will protect you. One of those rights is a right to an attorney. Having an aggressive, compassionate lawyer on your side who knows your case well is your best defense. Don't delay-call for a consultation! DO identify yourself if asked and show ID. 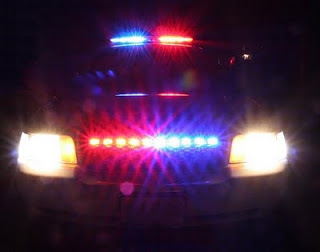 DO NOT consent to a search of your car, home or person; demand that the police obtain a SEARCH WARRANT. DO ask if you are under arrest; if the answer is "no," then ask if you may leave. If the police are at your home, step back inside your home. If you are under arrest, DO state that you are invoking your right to remain silent and will answer no further questions until your attorney is present. DO NOT waive your Miranda rights (right to remain silent, right to an attorney). DO call our firm at 724-705-7440. Call The Puskar Law Firm Today!